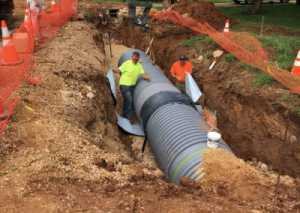 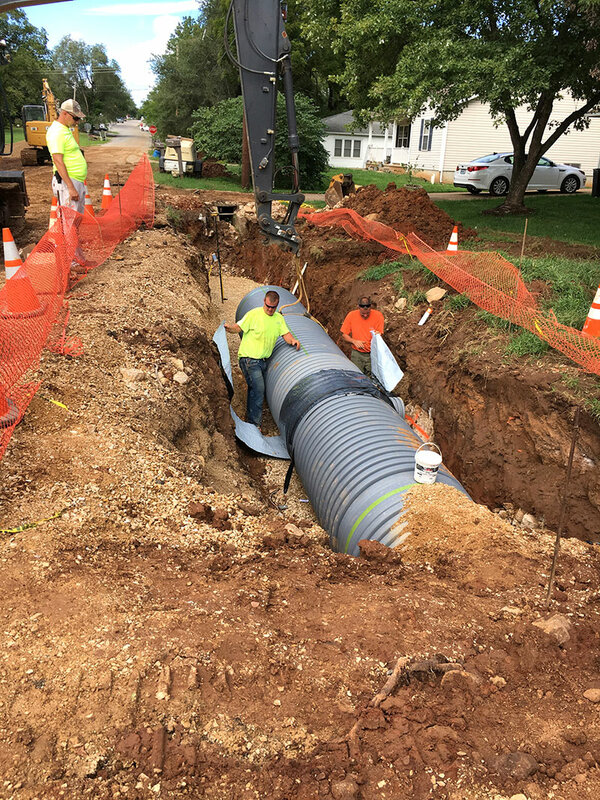 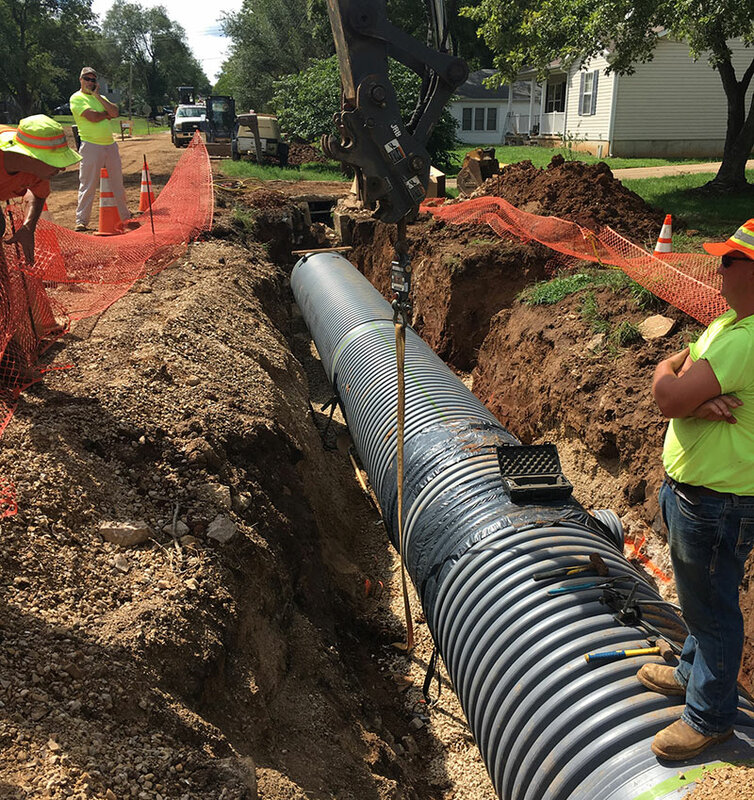 Improvements to the underground stormwater system under existing residential streets and sidewalks in Desloge, MO were needed to include the upgrade of a 440′ section of 42” HDPE pipe. 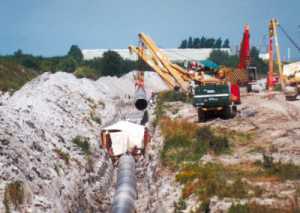 Shallow bedrock limited the depth the pipe could reside, while a high water table created buoyancy issues requiring some form of a supplemental ballast system. 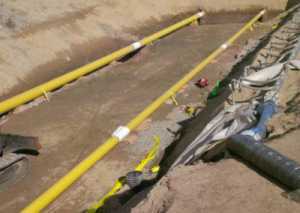 The Engineer’s buoyancy calculations revealed the new pipe sections had a net uplift buoyancy force of ~370 lbs./ft. 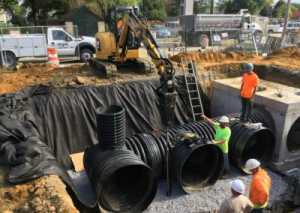 (7,425 lbs. 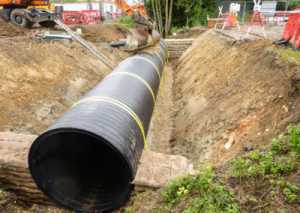 per 20′ pipe section.) 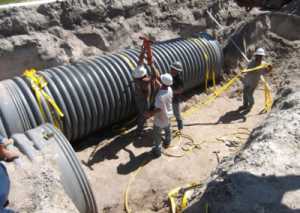 It was determined that three Platipus S6C 2 ton pipe kits per 20′ section would provide 2,476 lbs. 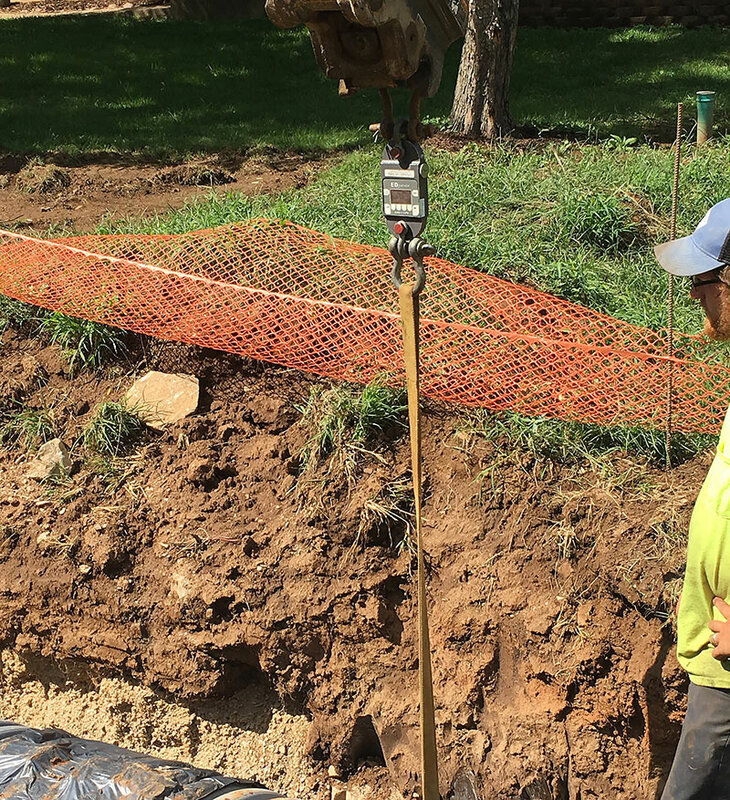 of force every 6′-8′, thus eliminating the buoyancy risk. 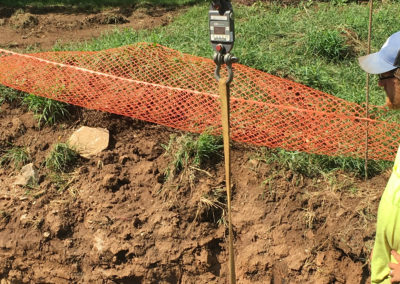 The underlying bedrock mandated the use of cast iron Platipus S6 anchors driven to a depth of 5′. 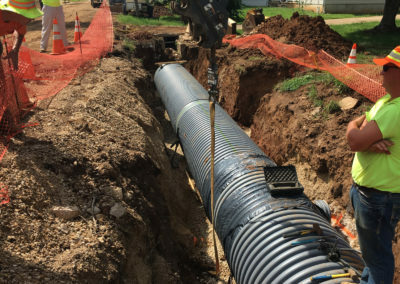 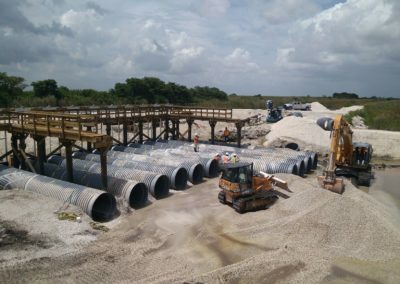 The convenience and ease of installation of the pipe kits using hand- held tools resulted in a cost-efficient solution with low environmental impact.